Xue Huifeng is an expert in systems engineering and management science as well as the president and deputy secretary of the Party Committee of the China Academy of Aerospace Systems Science and Engineering. He is also a professor and doctoral supervisor at the academy. Also the director of the Office of the “Oral History of the Life of Tsien Hsue-Shen,” he has dedicated himself to researching national governance modernization since 1982. He has worked tirelessly to advance and develop the ideas of famous aerospace scientist Tsien Hsue-Shen on systems engineering and other scientific thought. With more than 400 essays published, he is an author of nearly 30 books. He chaired more than 80 research projects and won 34 prizes at the national and provincial level. This year, forums named after famous Chinese aerospace scientist Tsien Hsue-Shen (Qian Xuesen) were convened in Beijing, Shanghai, Inner Mongolia and Gansu. The forums focused on ways the Tsien Hsue-Shen Think Tank lends support to planning in the Xiongan New Area, integrated military and civilian development in cyberspace and water affairs. Though he passed away nearly eight years ago, Tsien’s intellectual legacy still resonates. 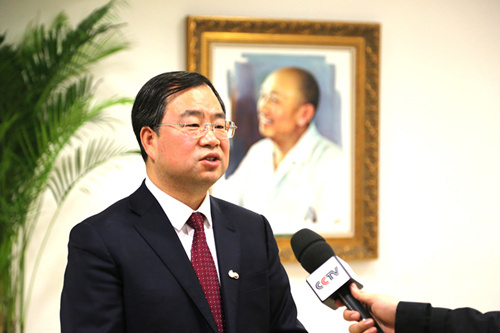 To learn stories about Tsien, a CSST reporter interviewed Xue Huifeng, the president of the China Academy of Aerospace Systems Science and Engineering (also called the 12th Academy of the China Aerospace Science and Technology Corporation), who is dedicated to carrying on Tsien’s traditions in the field of systems engineering. CSST: As the inheritor of Tsien’s systems engineering legacy, you are quite familiar with his scientific systems. Could you talk about his academic experience overseas, which could be considered the beginning of his career in rocket science? Xue Huifeng: Tsien began his studies in the United States as a state-funded student in 1935, learning under the tutelage of his mentor Theodore von Kármán at the California Institute of Technology. In 1943, Tsien wrote a report about research on missile weaponry together with Frank Malina, an American aeronautical engineer and painter, for the American military to fill its demands for the anti-fascist war. It was this report that laid the framework for US research of ground-to-air missiles and sounding rockets in the 1940s and 1950s. In 1950, he introduced the concept of the “rocket airliner,” which became the prototype for America’s space shuttle as we know today. CSST: How did Tsien embark on the journey of returning to his homeland in later years? Xue Huifeng: Before the founding of the New China, the Communist Party of China mobilized Tsien to come back and participate in the country’s construction. Unfortunately, McCarthyism swept the United States. Tsien was accused of communist sympathies and detained. During the five years under virtual house arrest, he finished writing Engineering Cybernetics, totaling 400,000 words. This book was translated into many languages and later became a landmark work of systems engineering, which, in later years, became his lifelong passion. Through serious efforts on the part of the Chinese government to negotiate his release, Tsien was finally freed and returned to China. CSST: It was a unique period for China when Tsien returned. To start from scratch, China’s aerospace industry had to face innumerable technical difficulties. However, when called respectfully “the Father of Chinese missiles,” Tsien declined the title. He argued that “Big Science,” such as aerospace science, is a far cry from the science in the era of Edison. He said that Edison could make inventions inside the laboratory but the R&D of missile and aerospace science is the work of tens of thousands of people. Without the leadership by the Party and without collective efforts, no single person could achieve success. CSST: We know that Tsien spent his twilight years in the No. 710 Academy, one of the former institutes of the 12th Academy. Could you describe his work at that time? Xue Huifeng: In the late 1970s, at the suggestion of Premier Zhou Enlai, Tsien applied the experience gained from aerospace research to social development and other fields. In 1986, Tsien began a systems engineering seminar, providing a forum for the exchange of academic ideas on this discipline. The seminar lasted for seven and a half years and Tsien attended it each time in any weather. Scholars from various fields, such as economics and mathematics, were attracted to the seminar, and heated interest in the study of systems engineering was stirred on a nationwide scale. This is the historical origin of the Tsien Hsue-Shen Think Tank. To this day, it still plays a crucial role in the modernization of the national governance system and capabilities. The concept of the Tsien Hsue-Shen Think Tank has been continuously carried forward and the systems engineering theory was extended and applied to a variety of fields to underpin price policy, food subsidy, family planning policy, financial engineering, Three Gorges project of the Yangtze River, sand and grass industry. 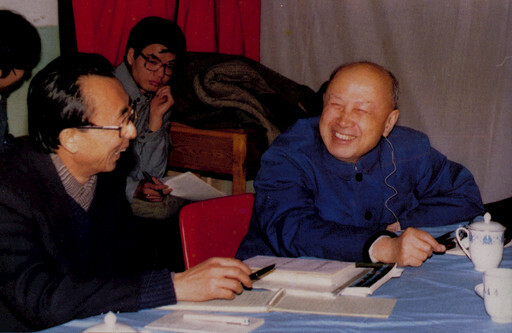 In March 1991, using the principles of a “department of general design” that served the “two bombs, one satellite” program, Tsien submitted a report to the Standing Committee of the CPC Central Committee and proposed establishing a national department of general design to conduct strategic planning and top-level design to guide national economic and social development. This proposal had not been fulfilled during Tsien’s lifetime. In today’s New Era, one of the priorities of China’s Central Leadership for Comprehensively Deepening Reform is to implement the top-level design of the reform. CSST: One of the major missions of the 12th Academy is to build the Tsien Hsue-Shen Think Tank. Please tell us about its research teams. Xue Huifeng: We have established three coordinated research teams: The Tsien Hsue-Shen Decision-Making Advisory Committee consisting of over 80 academicians from the Chinese Academy of Sciences and Chinese Academy of Engineering, senior generals in the armed forces, top leaders and famous entrepreneurs; the Tsien Hsue-Shen Innovative Committee consisting of over 150 Changjiang Scholars, Experts of the Thousand Talents Plan, and Distinguished Young Scholars supported by the National Science Fund; the Innovation Group, consisting of post-doctorates from various disciplines. CSST: In April 2014, the 12th Academy has started to implement the “Oral History of the Life of Tsien Hsue-Shen.” Could you discuss how it worked? The project team shot photos of places where Tsien once lived and worked, as well as his statues and exhibitions. Many of these sites were set to be demolished and carrying out the task in time salvaged part of the historic materials. The team also collected manuscripts, letters, photos, videos and sound recordings of Tsien, including recordings of his speeches at the systems engineering seminar. They also sorted out publications relevant to him. In this way, an authoritative data repository about Tsien has been established. CSST: In addition, a series of other measures have been taken to spread the thoughts of Tsien. Please elaborate on them. Xue Huifeng: On November 2015, the conference on the 60th anniversary of Tsien’s return to China was convened in the Great Hall of the People. On December 2016, the conference on the 105th anniversary of Tsien’s birth was held. At the same year, the special supplement to Science “The Rise of Systems Engineering in China” was published to help the people of the world learn Tsien’s story and disseminate Chinese theory. We also produced a seven-episode documentary in cooperation with the international channel of CCTV. In addition, a number of books about Tsien have been published and several forums named after Tsien were hosted. Moreover, the Tsien Hsue-Shen College and Aerospace Elite Class were established at Xi’an Jiaotong University. A number of classes named after Tsien were established in primary and middle schools of Zhejiang, Shandong, Anhui provinces and Inner Mongolia Autonomous Region. One Central Government leader once said that if China could bring in another or even half a person like Tsien, new social development would be created. To this day, the “Tsien Hsue-Shen question” still puzzles us—we keep thinking how to cultivate another master like Tsien who could transcend his insurmountable height. To me, this is where the true spirit of Tsien lies.